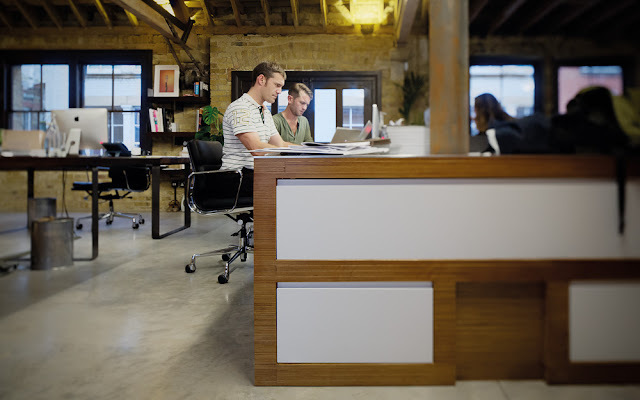 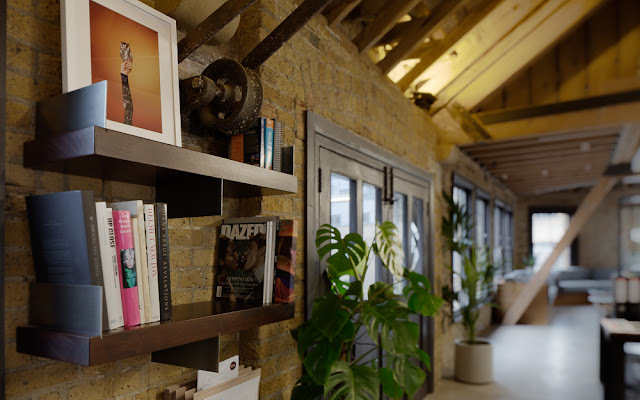 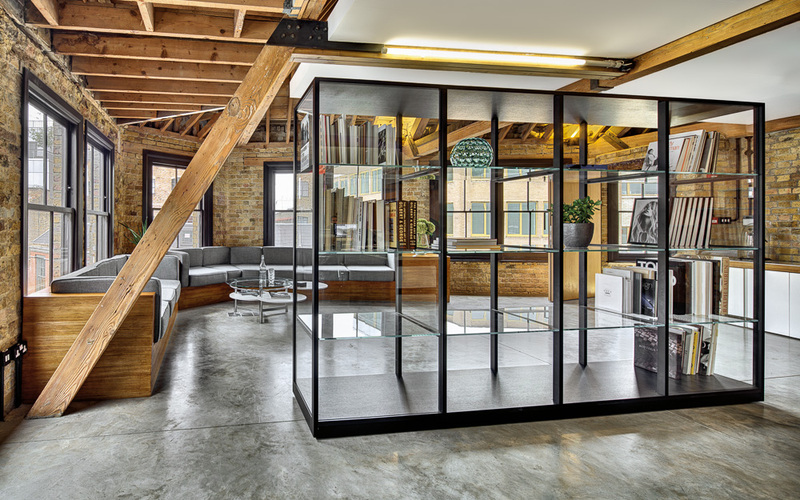 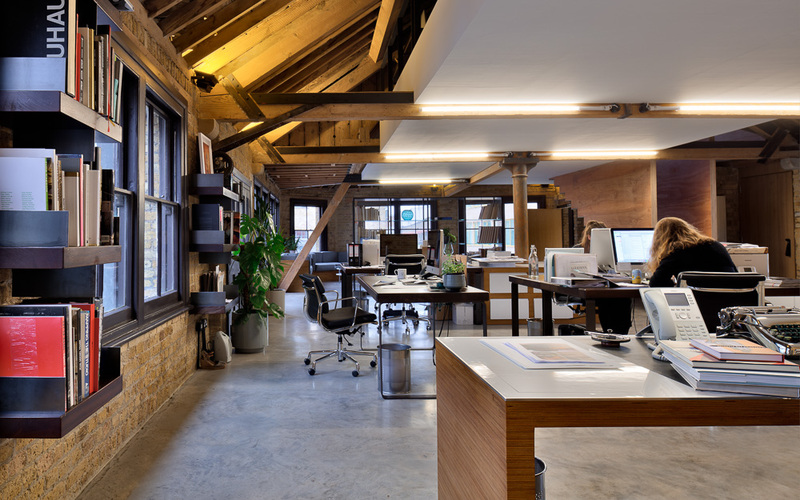 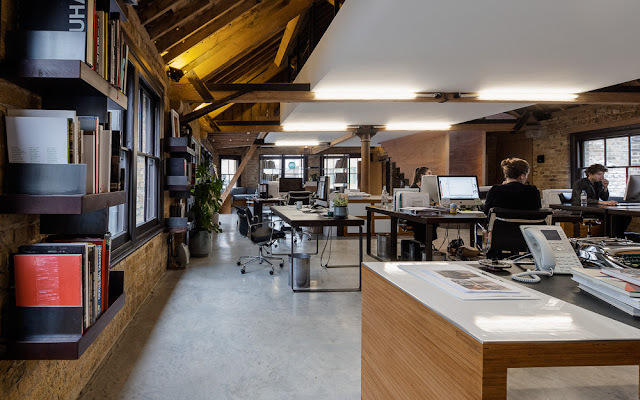 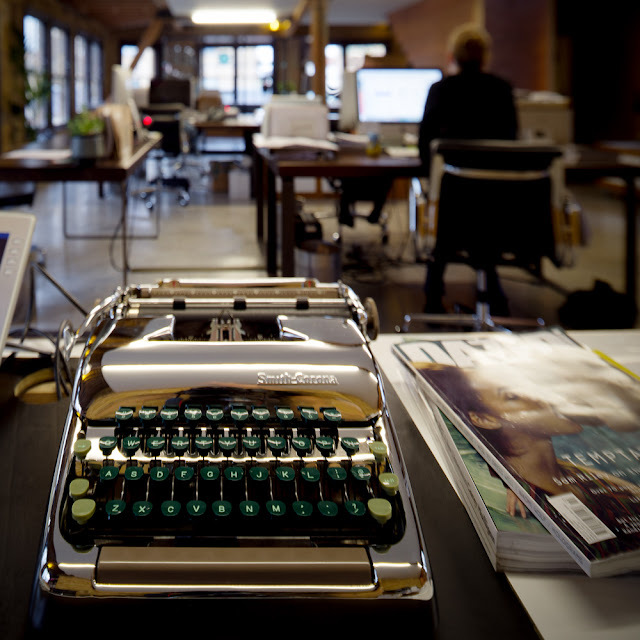 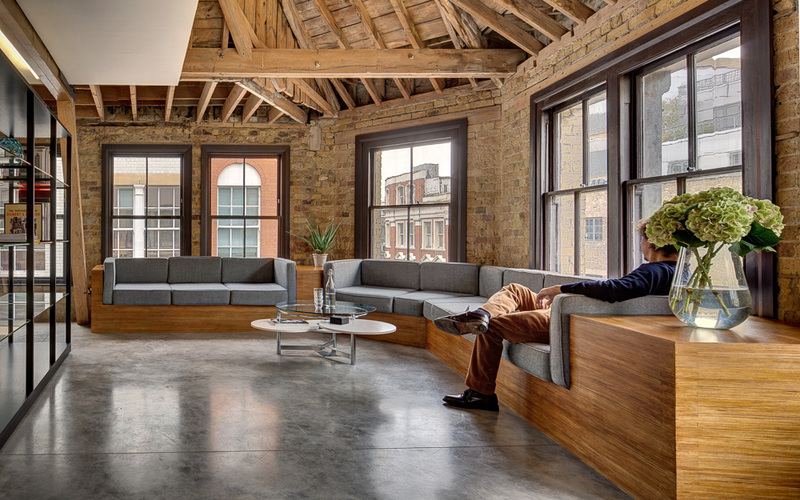 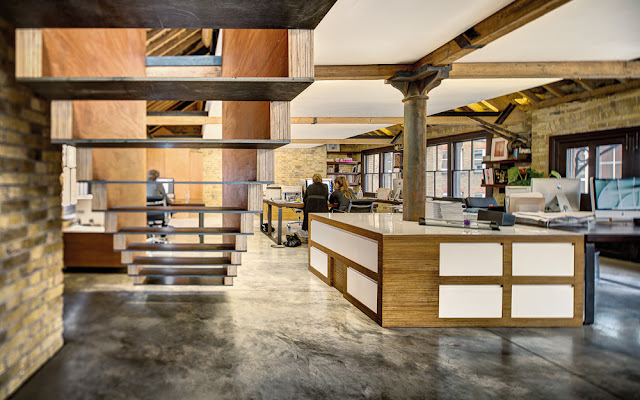 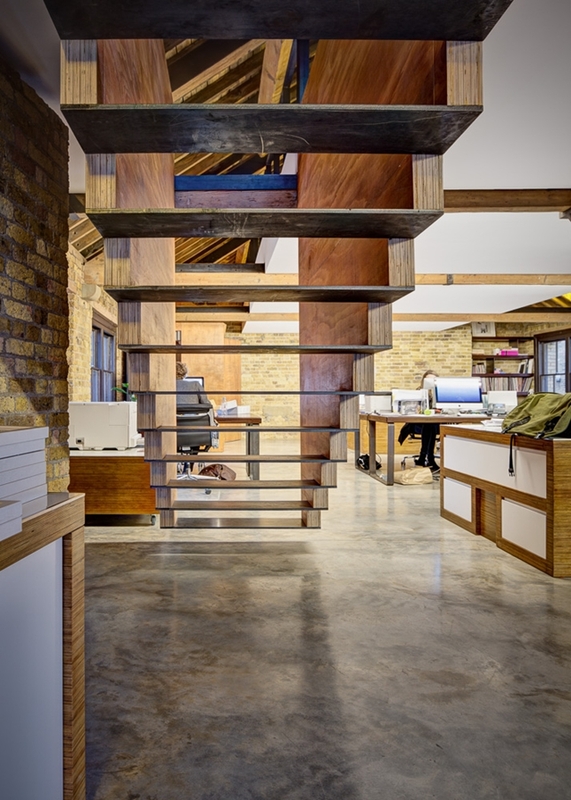 DOS Architects designed this incredible attic office for one of the new London based agencies, located in famous Old Street. 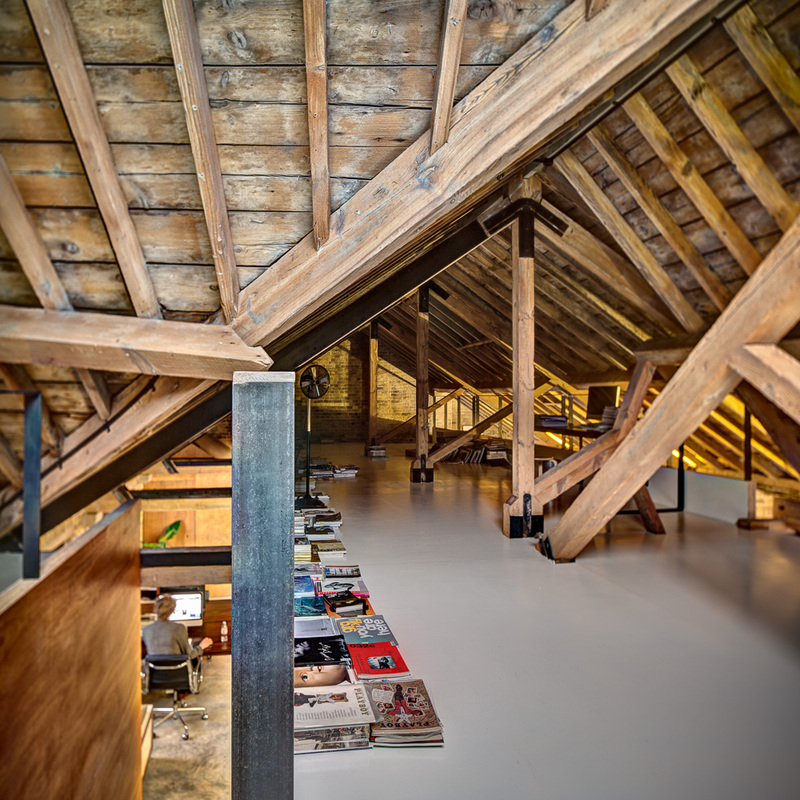 Original wooden roof structure was almost completely preserved and fitted into new interior design which was also focused on the wood as the main material. 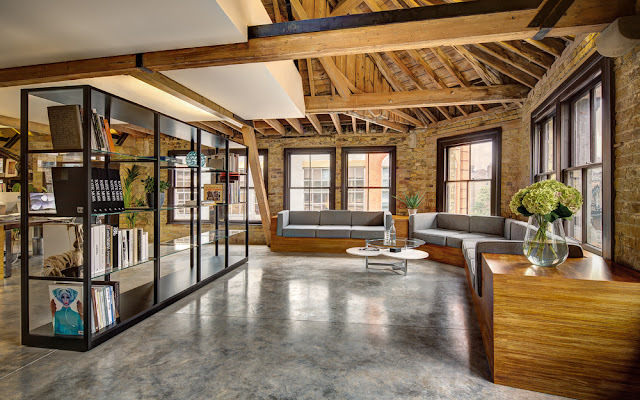 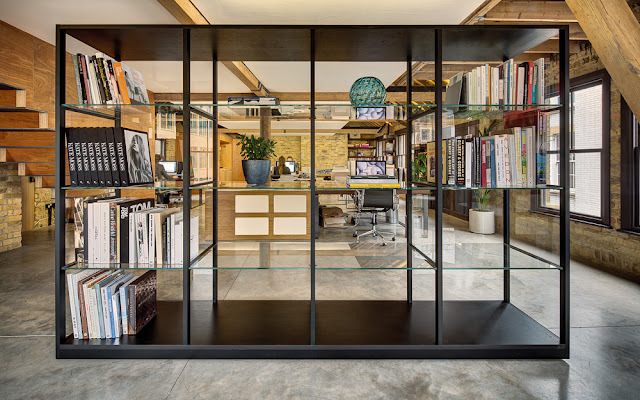 "DOS Architects’latest creation is a stunning design for the start-up creative agency MAD London, headed by Jefferson Hack, founder of Dazed & Confused magazine . 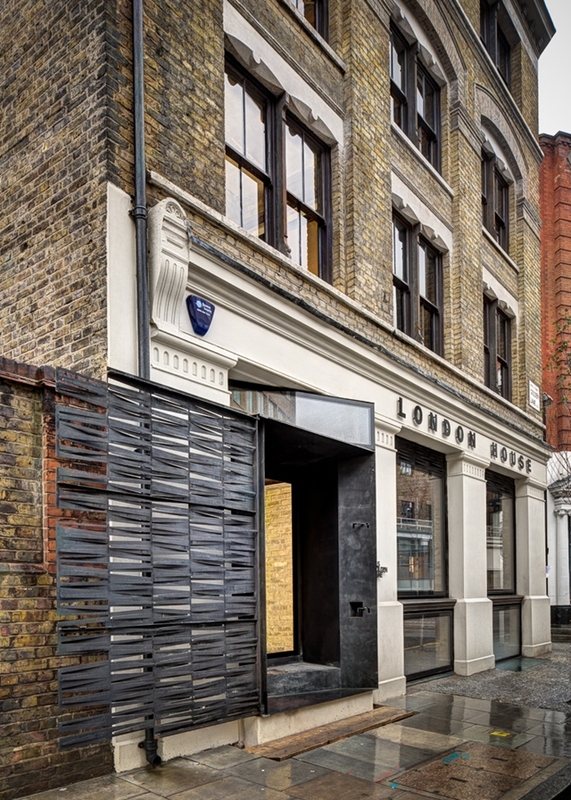 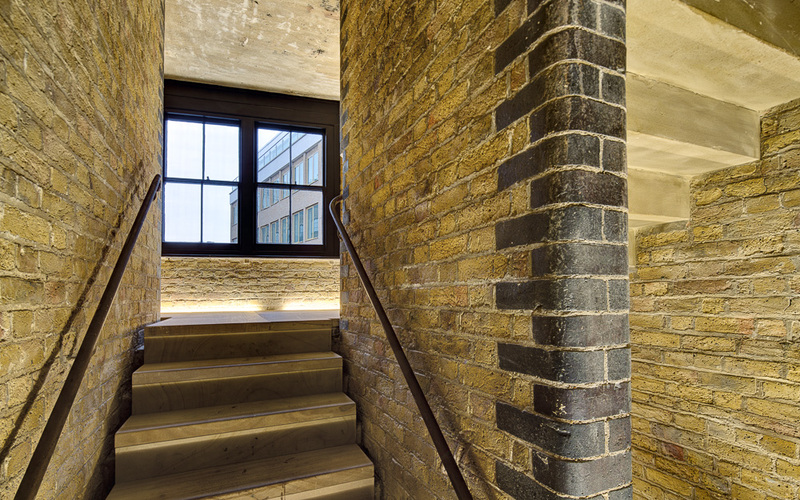 DOS’ intervention was to design the top 2 floors of this Industrial building in the ever trendy area of Old Street. 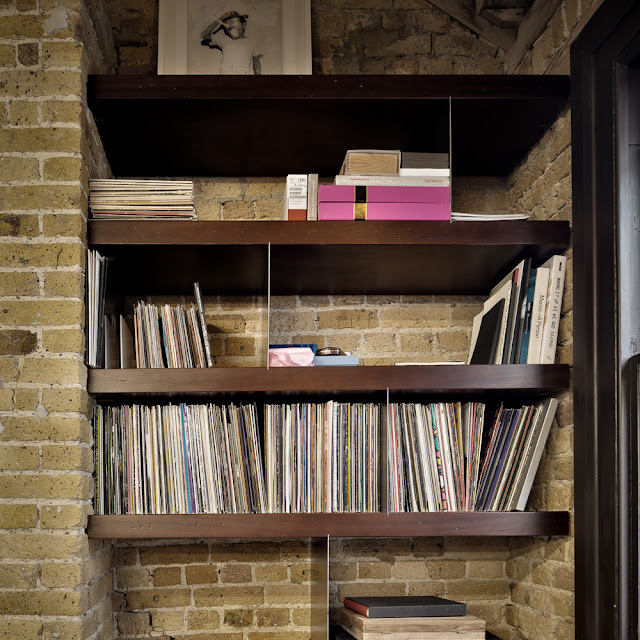 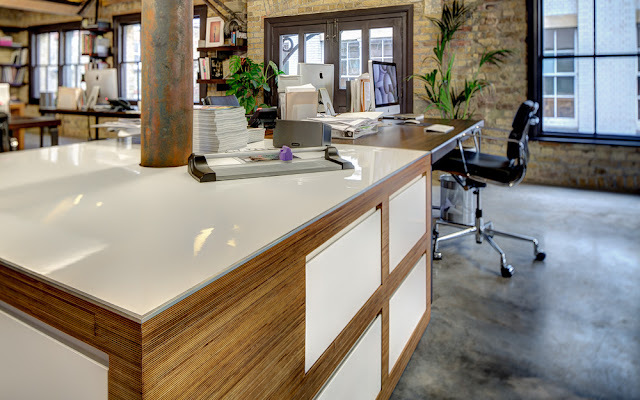 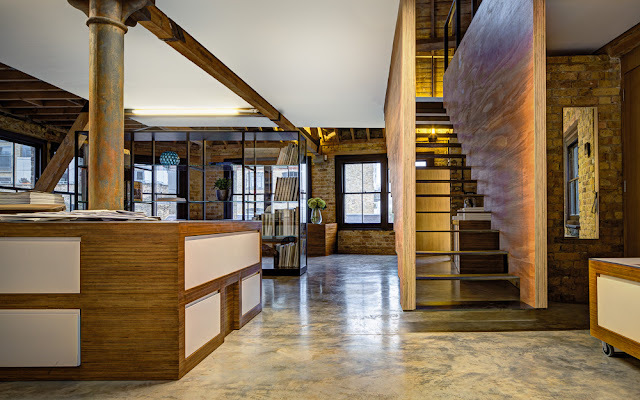 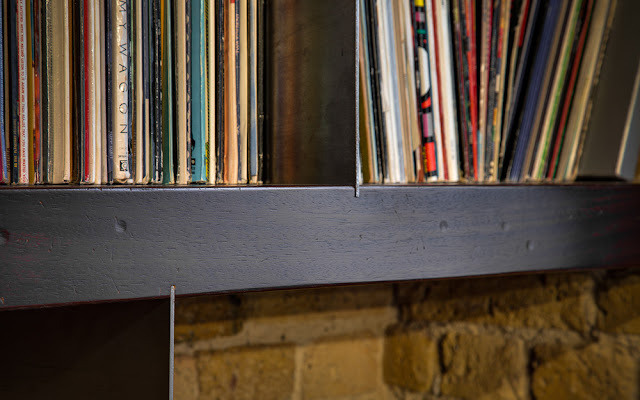 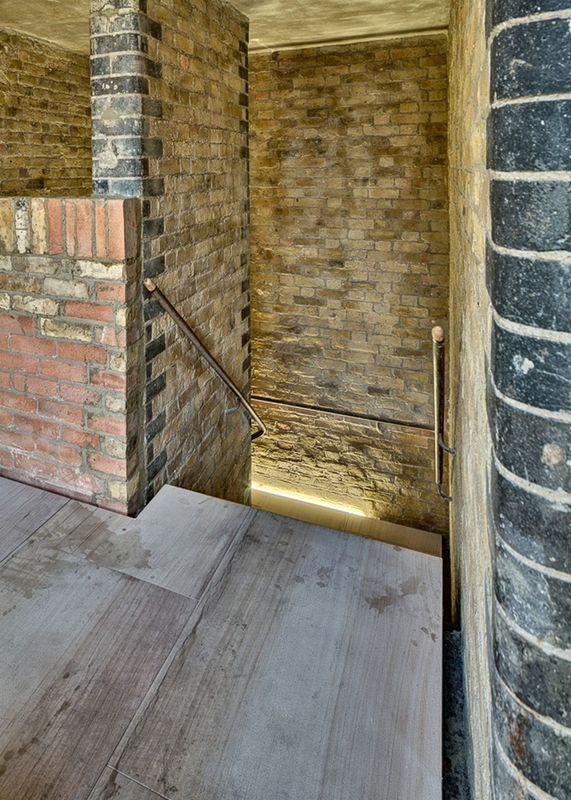 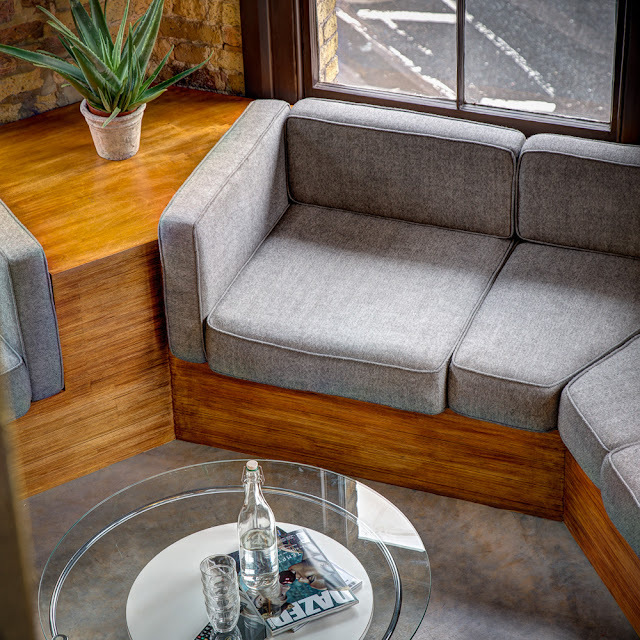 The intention was to preserve the industrial character of the existing building, whilst adding a layer of warmth and modernity in the bespoke joinery and finishes and lighting."